Sticks and stones may break bones, but words are, allegedly, harmless. Or maybe not. There can be a violence in communication, not an act of physical aggression, but aggression nonetheless. The violence of vitriol, carefully constructed to cause pain. I was struck by this in a conversation about change, a conversation that moved to blame, fault, and tribalism. The stories that we share are backed by power: the power of our position, the authentic power of our lived experience, the power of those people who support and cherish us. Some of that power is held in consensus, broadly shared agreement, whilst other is in opposition. Some of the power of my stories may be held in the violence they do to others, and that, for Social Leaders, is a challenge. The Organisations that we exist within are good, or at least, good on the whole. It’s a mistake to believe that there are trolls under the bridge, ogres in the boardroom. Many people are trying to do the right thing, but often according to a local, tribal, definition of ‘right’. The Constrained organisation does not have one version of ‘right’, and one version of ‘wrong’, but rather it has multiple, opposing, versions of ‘right’. In that context, there are no bad people doing all the bad things: we are the bad people. The humility of Social Leaders is not just the willingness to hear the things that we wish to hear: it’s the ability to hear those very things that we don’t. The violence in our stories may lie in their opposition to other tribes: if we draw our power by denying that of others, we fail in our duty to fairness, in our responsibility to our widest community, and, quite simply, by taking the easy road instead of the necessary one. 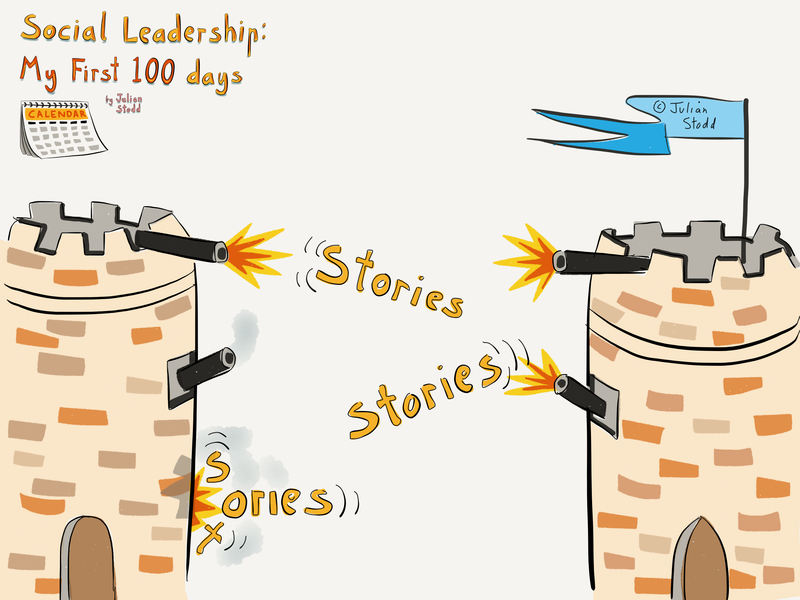 This entry was posted in Social Leadership, Stories, Storytelling and tagged Conflict, Leadership, Social Leadership, Stories, storytelling, Violence. Bookmark the permalink.